I fell in love with a Mini Cooper because my beloved childhood character Mr. Bean is driving one. Who would not recognize the lime green colored of his miniature car in contrast with his tall frame? Today, I was possessed by a fitness demon and went for a quick run at Quezon City Memorial Circle but my eyes were immediately stole by the adorable Mini Coopers on parade. I tried counting but decided to stop after I reached 20 because there were so many. So, what’s up? 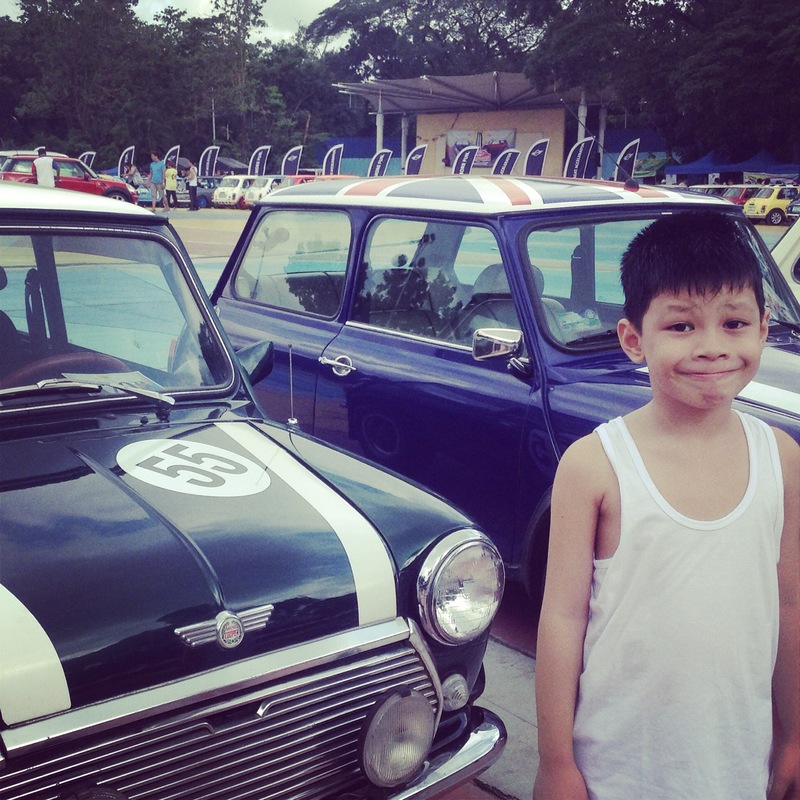 Mini Philippines held the ‘Pilipinas Mini ’55 Years Anniversary’ car show. The said event was meant to celebrate the 55th anniversary of Mini in the Philippines. The show will feature a gathering of around 250 classic and modern Mini vehicles. All the Mini Cooper owners were invited to display their vehicles during the show. The cars on show were every color you can imagine. Seeing them all lined up reminded me of my brother’s collection of toy cars displayed behind the glass. The Mini Cooper or Mini, as most people referred to it, is quite famous for its small size. It gives off a vintage feel, which some owners love. Now, I dream of owning one.